This Ford Promotional model is the Corgi 299 Ford Sierra 2.3L Ghia sedan in yellow. 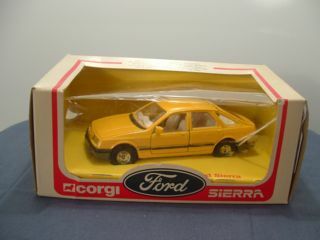 This model was released as a promotional item for Ford and was packed in special Corgi Ford Sierra boxes with Ford Advertising in 3 different languages on the rear (not pictured). 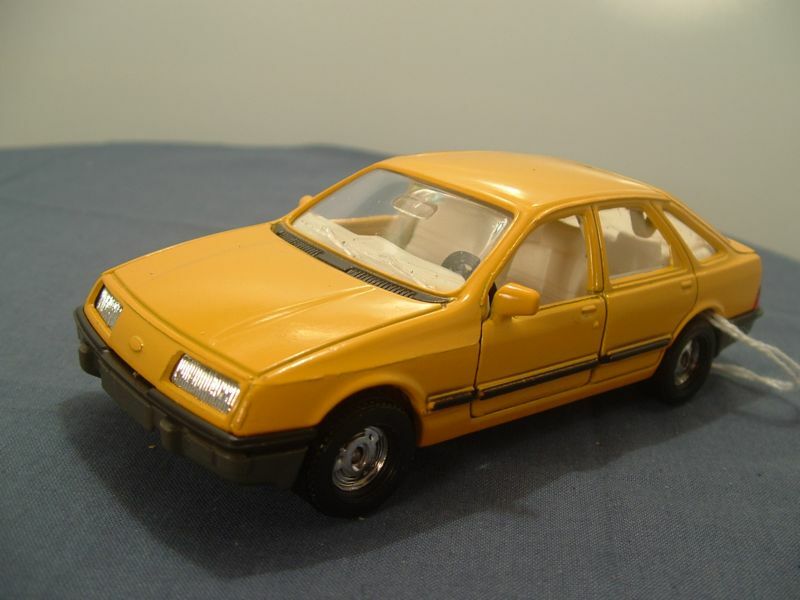 This model has a fixed bonnet, but has opening side doors and boot. The front has a black plastic insert to represent the top of the bumper with the baseplate shaped as the lower bumper. The front headlights are formed from silver plastic inserts. The rear bumper assembly is also black plastic with the rear indicator lights represented by red plastic inserts. 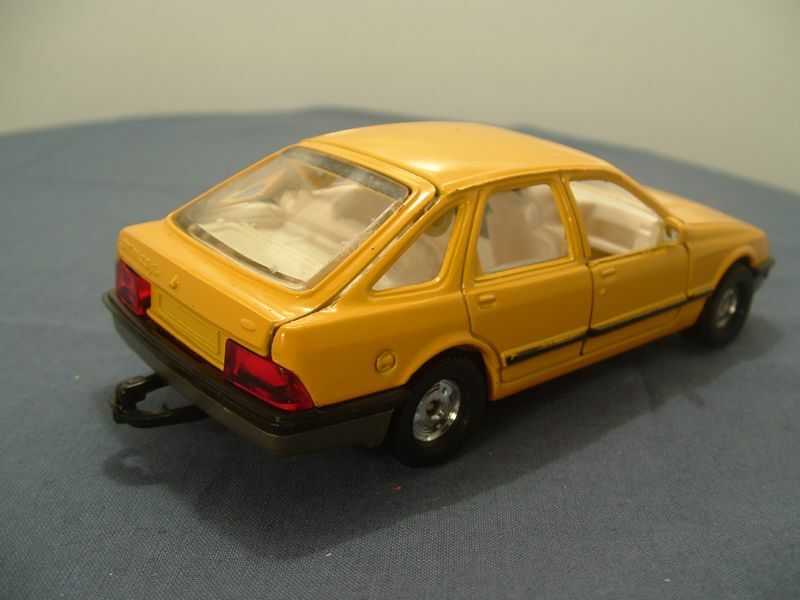 The entire interior is cream plastic with folding seat backs and a LEFT hand drive black plastic steering wheel which suggests the target market for the model was Europe rather than the UK. The glazing is clear with molded windscreen wipers and interior mirror. All wheels are of the "speed wheel" type - hollow one piece plastic with a "chromed" center "hub". 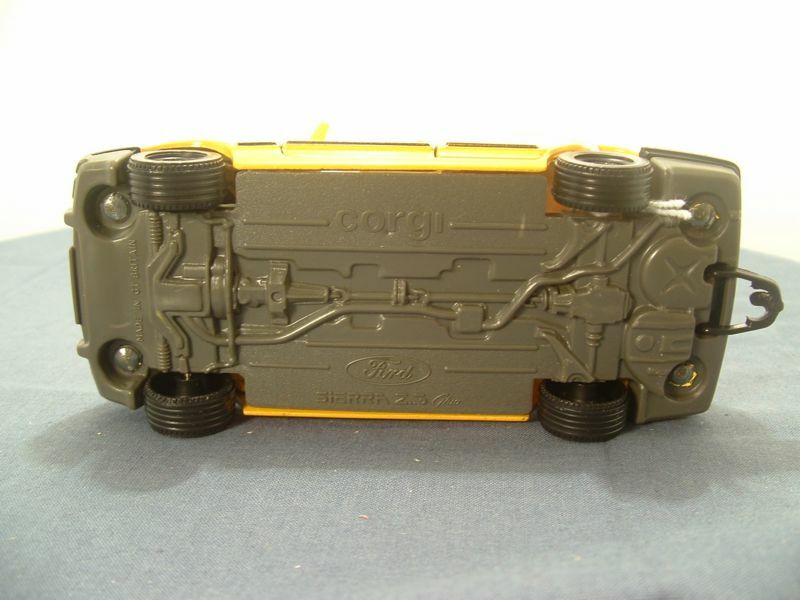 The base plate is dark grey plastic and is marked with "Made in GT Britain" in front of the front axle and "corgi" in the centre top and "Ford Sierra 2.3L Ghia" at the centre bottom. It is also formed to represent the front suspension, drive train, exhaust, rear suspension, petrol tanks and wheel well, held in place with four rivets. 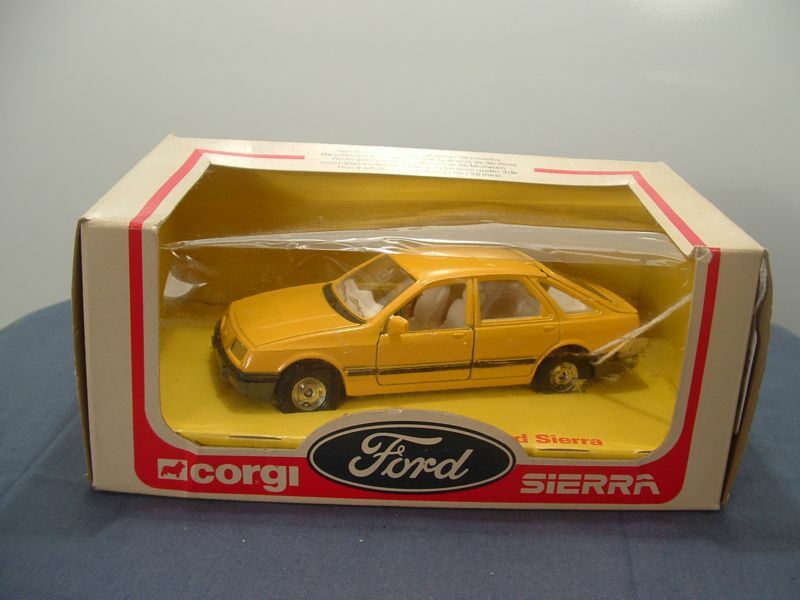 This model was issued in June 1982.